There is an entry fee of Rs. 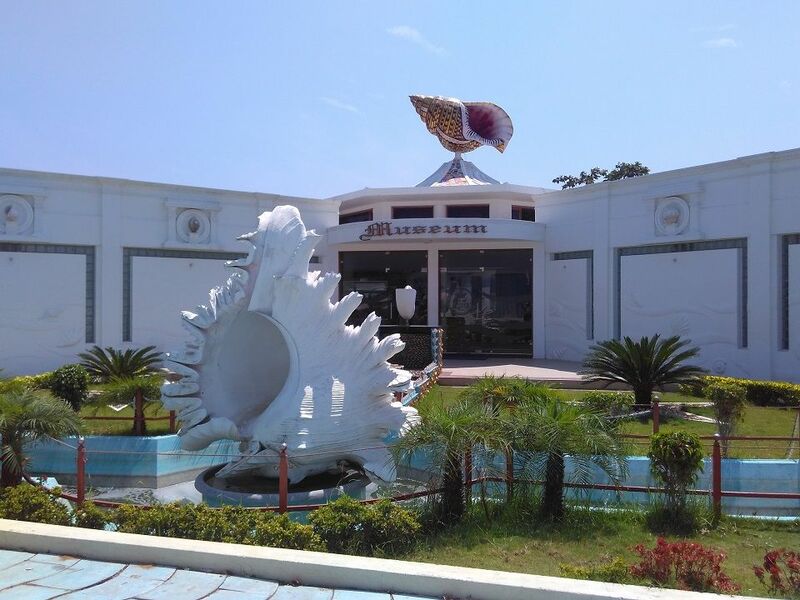 100 per person for the Seashell museum, and an additional ticket of Rs. 50 for the aquarium and souvenir shop. You can buy a combo ticket at lower price – I think Rs. 130. There is a separate ticket for camera: Rs. 100/-. These were the prices when I went in March, 2016. 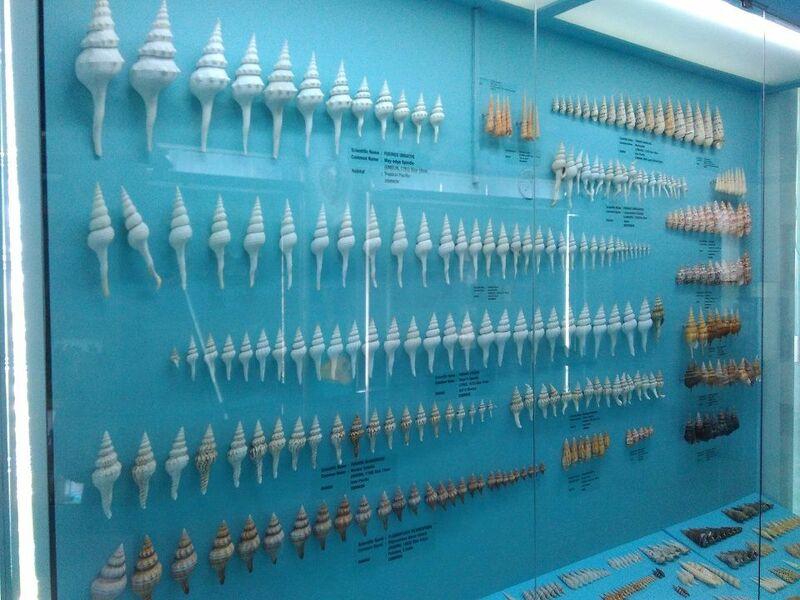 So yeah, this place is quite expensive, but the seashell collection is exhaustive and the concept is unique. In these photos, I am just showing you a fraction of what you can find there. 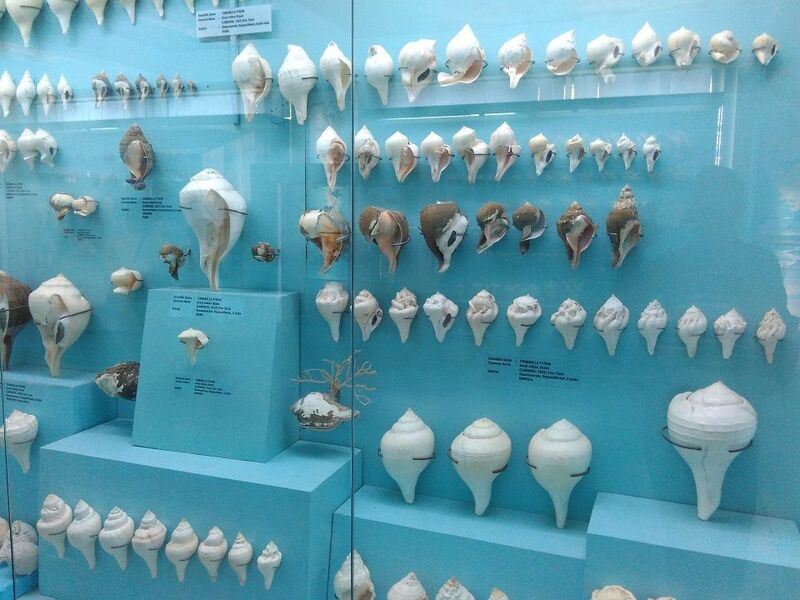 There are many more seashells on display – I guess around 40,000 of them in total, collected by their owner. Actually, we got a separate ticket to the museum, and then decided to visit the aquarium. The owner was there when we asked, and he asked the staff to give the additional tickets at combo pricing. There is a sea food restaurant and ice cream/snack shops within the campus. And of course, there is the Fish World (Aquarium) that also houses the souvenir shop. The aquarium is small and houses only a few fishes, but the souvenir shop is another treat – they sell so many items, all made of different types of shells (and even pearls). You can buy conches (sangu) here. Even if you don’t buy anything, it’s still worth a look. The prices seemed to be moderate. I bought two key chains with a small conch tied to them. Looks cool. The number of shells they have is huge, in spite of the ticket price! Yes, I have clicked the aeroplane too, but didn’t want to show everything here. I am not sure if it is made of shells. Yes I read your post. They seem to have increased the prices since then, but now they allow us to take photos inside. The entrance design looks cool. 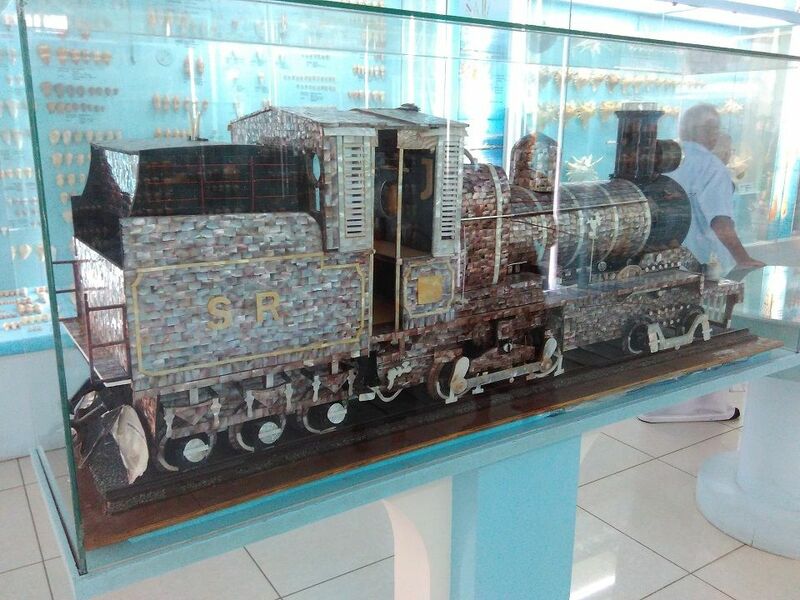 so is the train.. nice share. 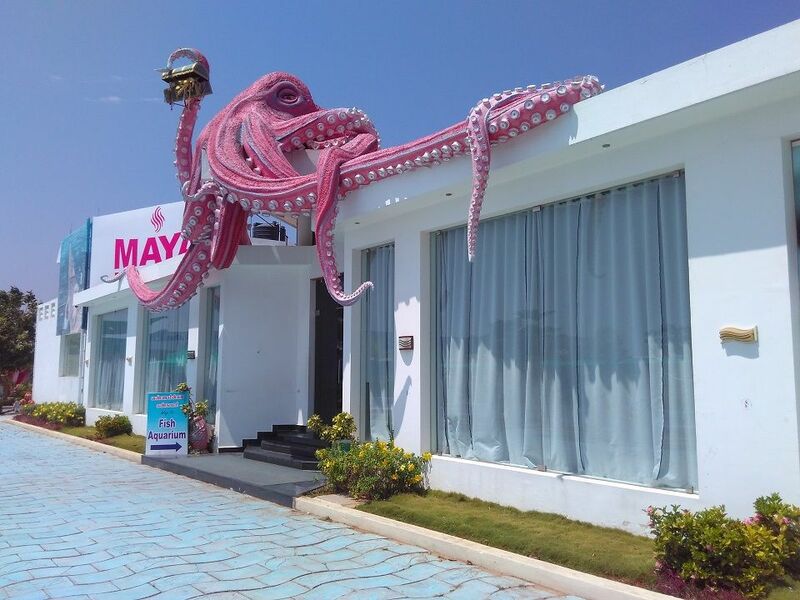 wowowo that is a lot of Shells… look beautiful and especially that big octopus on the wall ..
Yea, they have an exhaustive collection. 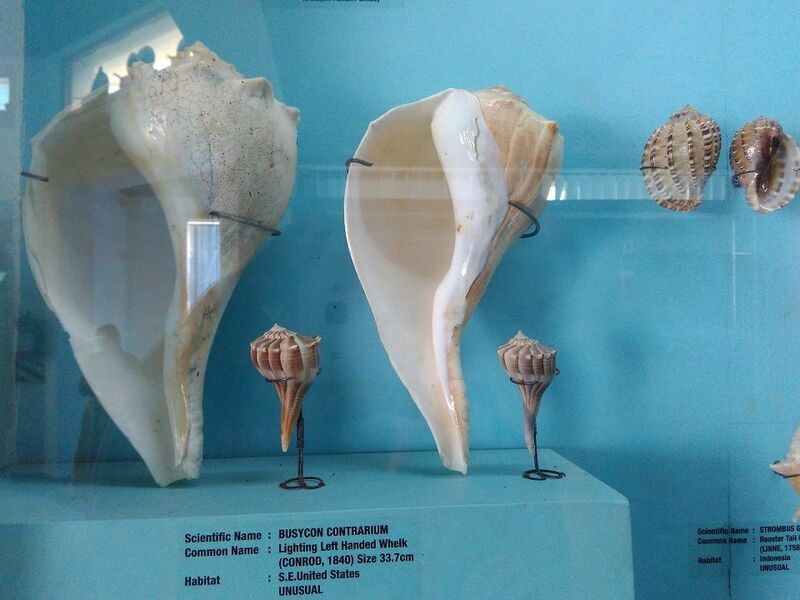 Interesting to note they were displayed along with the specific names of shells. 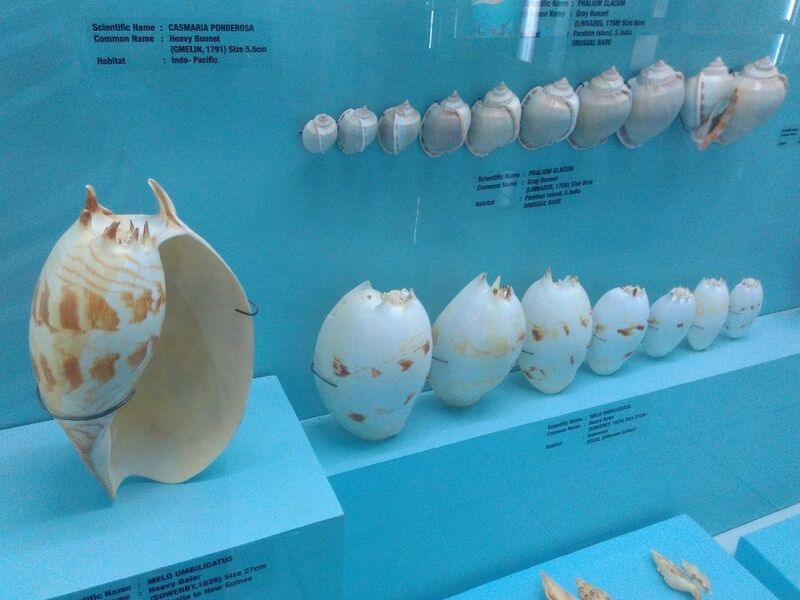 Love the way shells of different kinds arranged from smaller to bigger. I have seen this museum but haven’t visited yet and now desire to go there. Hope they made ramps for wheelchair! Oh thanks for your nice words about the new theme. Do go sometime, there is only three steps just before the entrance of the buildings but I think someone will help to get inside. Otherwise, it’s wheelchair friendly. Now, I must visit this place…I didn’t know about this. 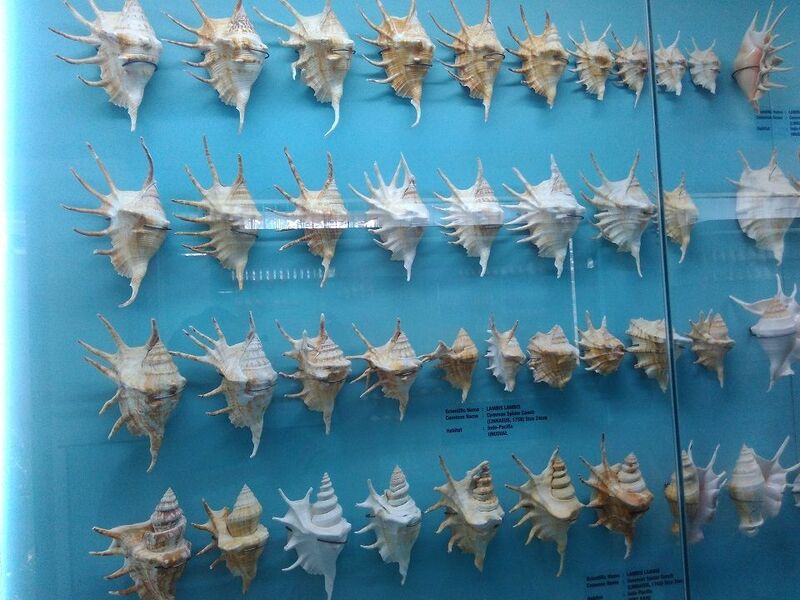 So many beautiful conches! Wow I came to your blog after some days and the whole design is different. Looks great DI! Coming to the post, I must visit that shell museum. Very nice pics. Thanks for your feedback on the new design. Do let me know some tips for improvement.